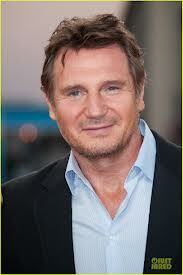 Liam John Neeson, is an Irish film actor with both Irish and American citizenship. Neeson is known best for his roles in Schindler's List, Star Wars Episode I: The Phantom Menace, Michael Collins, Taken, Kinsey, Batman Begins and Darkman and many many more! He has been nominated for an Oscar, a BAFTA and three Golden Globe Awards. And just generally famous! 'Famous' as in a household name famous in North America and overseas! How Liam Neeson became interested in Acting! His interest in acting and decision to become an actor was also influenced by minister Ian Paisley, whose church Neeson would sneak into. Neeson has said of Paisley that "He had a magnificent presence and it was incredible to watch this six foot-plus man just Bible-thumping away... It was acting but it was also great acting and stirring too." Liam Neeson plays Private investigator Matthew Scudder who is hired by a drug kingpin to find out who kidnapped and murdered his wife. Now filming in New York city and the movie is due out in 2014! 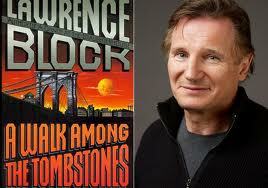 A Walk Among Tombstones film is based on a Lawrence Block novel “A Walk Among The Tombstones”. The famous screenwriter Scott Frank wrote the screenplay for the movie. 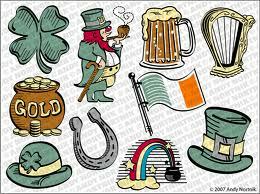 Saint Patrick’s Day or in Irish Lá Fhéile Pádraig = direct translation "the Day of the Festival of Patrick" occurs every year on March 17th. 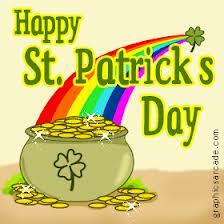 Also known as Saint Paddy's Day or Saint Patty's Day in the shortened speaking form of the name. 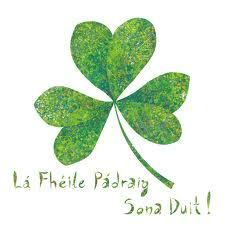 Although traditionalist prefer Saint Paddy's Day because of the Irish flavor in the name. These days, you will also see it written like this in various Saint Patrick's Day themed cards and signs. It is a cultural and religious holiday celebrated on 17 March. It is named after Saint Patrick (c. AD 385–461), the most commonly recognized of the patron saints of Ireland. 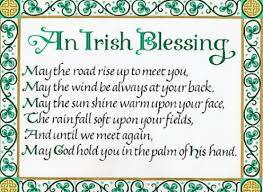 And here are a few Positive Irish images and thoughts! Have a Great Day! You don’t have to be Irish to celebrate! 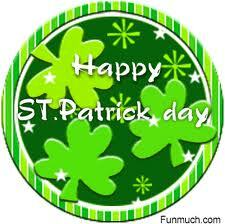 Hope you are wearing green! Later this week we have a fantastic new interview coming with a new, dynamic martial arts film producer! Check back this week!